We have seen three incredible skywalks being constructed in the Grand Canyon, USA and Tiananmen and Longgang, China. They were built as loops so that people could travel on the glass panes while observing a full view of the thousands of feet of vertical drop. They are now a major attraction for tourists all over the world and many travels there to test their nerves on this hair-raising walk. 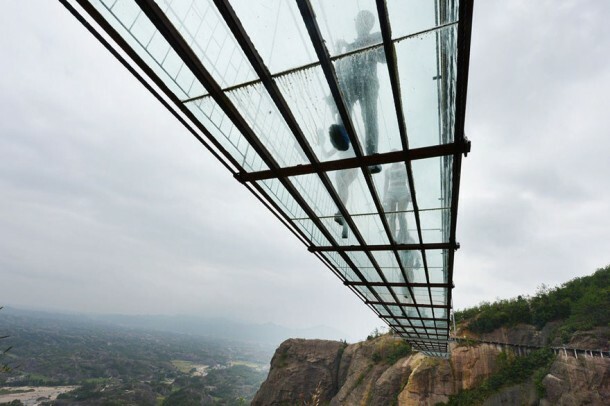 In China particular, the concept has gained popularity and now different other versions of a skywalk are being tried. 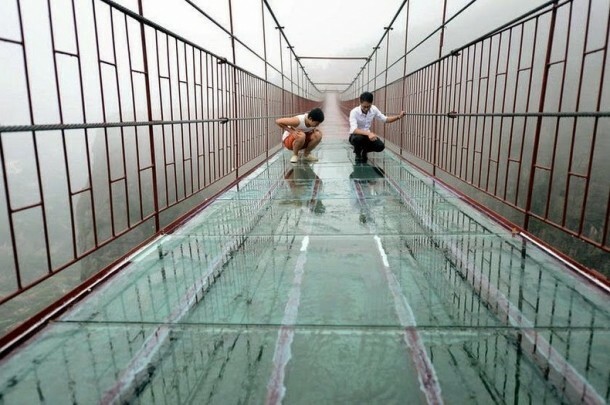 A new one Hunan was recently unveiled that is a pedestrian bridge with a see-through bottom. 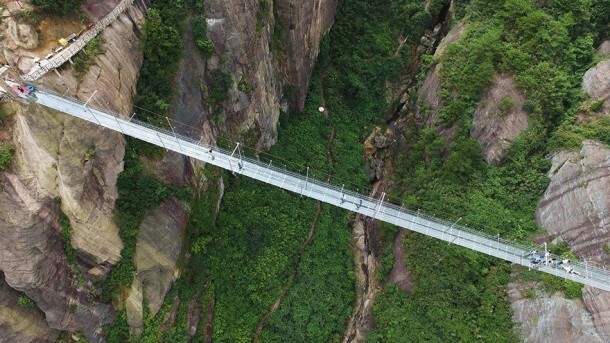 It has a length of 300 meters, and it is built with suspension cables at a height of 180 meters. The bridge replaced an old wooden one, and it took eleven civil engineers clocking twelve hours a day to complete this project. 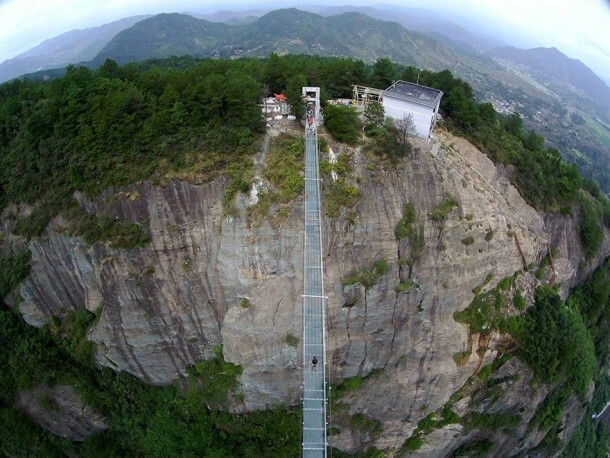 This bridge connects two peaks of the Stone Buddha Mountain. The plain glass bottom gives an unobstructed view of the bottom, and the effect is plain frightening to say the least. It awakens the scary cat inside all of us who is afraid of heights!